On Sunday the 17th of March pupils, parents and staff took to the red carpet for our 2nd Osborne Film Festival. The event included the premiere of 3 new Osborne Productions movies ‘Revenge of the Jelly is Coming’, ‘Macbeth: True Crime’ and ‘The Last Circle’. The festival also included an E-safety film alongside highlights from our 2018 Prom, Aladdin and Rydell High. We were delighted to welcome industry veterans Gary Wronecki (BAFTA writer/actor) and Michael Van Koetsveld (acted in Transformers 5/Detective Pikachu; also writes and directs short films). They introduced the festival and talked to our young people about filmmaking and how the audience is the most important part of making a film. 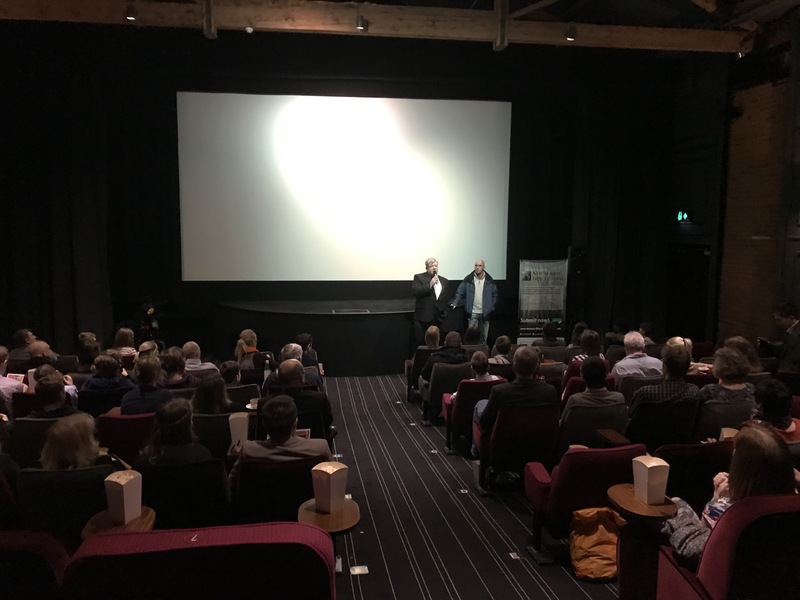 Gary and Michael are also the organisers of the New Forest Film Festival, an event Osborne School will be entering for the first time this summer. If you would like to purchase a DVD version of either ‘The Circles Trilogy’, ‘Jelly Anthology’ or ‘Fruit Wars’ please bring in £3 (or 2 for £5) in a sealed envelope to Osborne School reception clearly marked Film Festival. Please note what DVDs you would like and how many. A huge congratulations to all the pupils for their excellent films. ‘The Last Circle’ was a film created and made over an entire year. ‘The Revenge of the Jelly is Coming’ was completely written by James in Year 10. The festival proves that Osborne School students have dedication, creativity, enthusiasm and the ability to work as a unified team. Well done filmmakers! PS If anyone has any photos/video from the day please contact the school so we can add to this page! Thank you!